AUTISM ACADEMY – Rebecca Pawlowski is the behavior specialist and teacher at the Autism Academy for Education and Development in Tempe, Gilbert, and Peoria. Her one-on-one experience, passion, energy, and education enables her to help advance the mission of the school for children with autism. “Behavioral excellence is part of our mission,” said Developmental Director Shannon Mitchell. Pawlowski earned her Masters in Applied Behavior Analysis (ABA) with an Autism certificate at Arizona State University in 2015. For nearly two years she worked as an in-home and clinic speech therapist. According to Pawlowski, ABA specialists usually work with children one-on-one. However, the Autism Academy includes the entire family in the behavior process. And the parents are being heard, especially when it comes to autism education and the needs of their children. The Autism Academy uses a behavioral specialist to help students create positive behavior during school and throughout the community. The process considers the antecedent and the consequence. We all have some sort of behavior patterns, both good and bad. The behavior specialist helps teachers identify the four functions to look for when poor behavior manifests. Behavior is automatic, an escape, attention seeking, or to gain access to something tangible or an activity. Teachers are required to track the functions of each student incident. She uses a variety of supports such as building expectations, timers, visuals, verbal repetition, devices, and even planned ignoring. She says ABA understands that feelings exist, although people feel things because of events that take place. The Autism Academy uses various techniques to measure student behavioral progress. “We examine the frequency, duration, and latency,” she said. Frequency is the rate that behavior occurs per period of time, minutes, days, and months. Duration is the start of a behavior to the end of that same behavior. Latency is identifying the stimulus and response. Pawlowski facilitates behavior at all three campuses, and all teachers meet weekly to identify ways to track behaviors and offer suggestions. “A lot of times just the structure of a classroom can eliminate the unwanted behavior,” she said. She described why some parents experience poor behavior at home with their children who conduct themselves well at school. Teachers use activities, tangibles, and artificial money contingent on good behavior. Students are allowed to redeem school bucks for extra iPad time, lunch with the principal, and other rewards that motivate positive behavior. 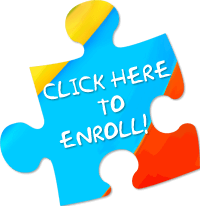 The Autism Academy facilitates scheduled parent classes to help parents partner with the success of their children with autism when it comes to their education. Pawlowski is proving that Applied Behavior Analysis (ABA) techniques are even more effective in the school environment than during one-on-one sessions at home. If your child has autism, then it’s time to learn more about an autism education that will cater to your child’s needs.